Screen Shots is a digital photo exhibition that is will be displayed throughout July as part of U.Dance 2015, the National Youth Dance Festival. Curated by Plymouth Dance volunteers Tammy Mildren and Rachel Priest as part of their silver Arts Award, with support from Fotonow, Screen Shots is a collection of 4 dance photographic exhibitions commissioned by Youth Dance England, Plymouth Dance and People Dancing featuring images by photographers Kevin Clifford, Sean Goldthorpe and Brian Slater. The photos will be show on screens around Plymouth highlighting the incredible young dancers from Plymouth and beyond. Professional dancers Welly O’Brien and Mickael Marso Riviere create an adaptation of the famous lift from the film Dirty Dancing. With funding from Unlimited Impact, People Dancing commissioned emerging disabled photographer, Sean Goldthorpe to create 20 high quality images inspired by iconic dance moments in film. This exhibitions features 6 of the 20 powerful, emotive, and humorous images – many with a subtle but relevant message – Deaf and disabled people are centre stage, re-imagining iconic roles from well-known and loved films from a diversity of genres. The aim of the work is to change perceptions around Deaf and disabled people who participate in dance, and act as a resource and inspiration to Deaf and disabled people who dance already, and those who would like to dance in the future. Was the first set of iconic images commissioned by Youth Dance England in partnership with Plymouth Dance to celebrate the national festival coming to Plymouth. 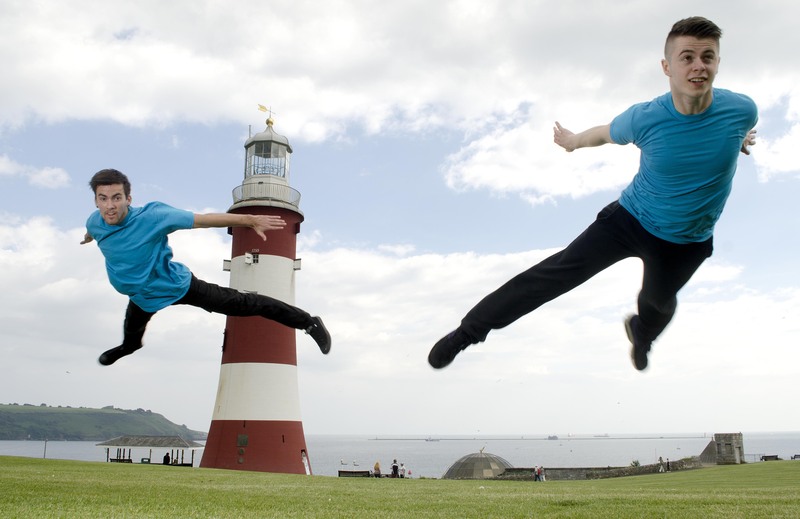 Blue Arrows by photographer Kevin Clifford captures the vibrancy and energy of a selection of youth dancers from across the city flying through the air against the iconic backdrop of Plymouth Hoe and The Barbican. 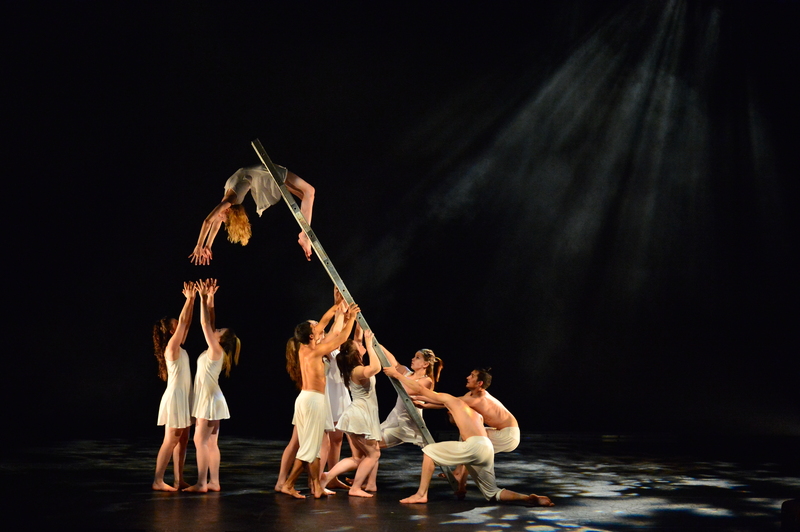 Is the second set of images by Kevin Clifford commissioned by Youth Dance England with Plymouth Dance. Shadows and shapes features young dancers showing their individual style of dance in the unmistakable grounds of Royal William Yard. This section was named this because of the way the dancers are moving in the photos and the shapes they make with their bodies and the shadows that are created through this. Commissioned by Youth Dance England U.Dance Over The Years is a selection of images of images by Brian Slater which captures some of the talented young dancers who have taken part in U.Dance over the past 9 years. The exhibition will be shown throughout July at The Barbican Theatre, The Big Screen, The House and Plymouth City Councils One Stop Shop and best of all… it’s absolutely free!